I just wanted my own time to think, re-think, re-think what I just re-thought and this is why I took longer than usual to review this product to write this review. I just don't trust any hair product and when I experiment with my hair products I just be ready to lose my hair during hit and trial because hair products may turn out to be very tricky, un-friendly for your hair sometimes. So here I am with something about this product. 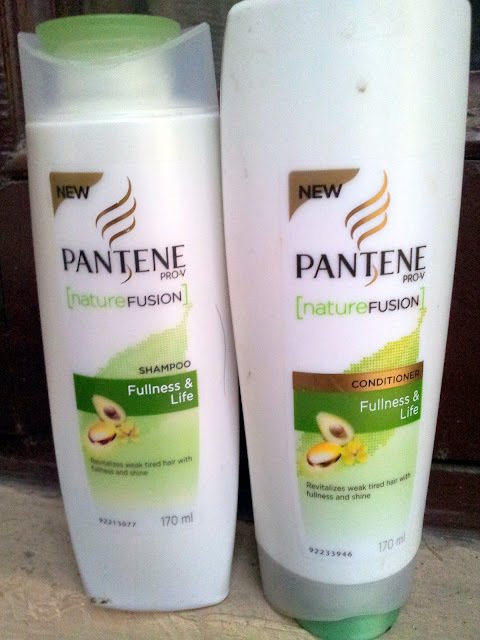 Pantene Pro V Nature Fusion Shampoo - is a gel based shampoo with light green tint to it.It has fresh fragrance which you are bound to love. If you have ever read my reviews on hair products then you know very well that my main problem with hair is oily scalp and hair fall. This shampoo resolved both problems. My hair still gets oily but in 3-4 days which is good because I used to wash my hair every alternate days as it became oily in a day or so - no difference due to weather. 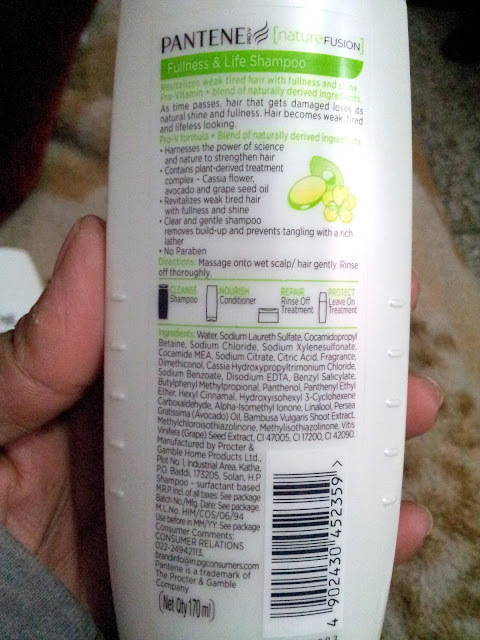 Plus this shampoo reduced my hair fall almost next to "no-hair-fall" at all. Now, I lose my hair only when I am shampooing (is there a ver such as shampoo? anyway) my hair or oiling my hair which is NORMAL (follow the link and read the FAQ in the post for better understanding). I found it gentle and worth the price. Girls with normal to oily hair types, please go ahead and buy yourself a bottle if not already. The only downside of this shampoo can be that it takes more than a normal blob I'd use on my hair. 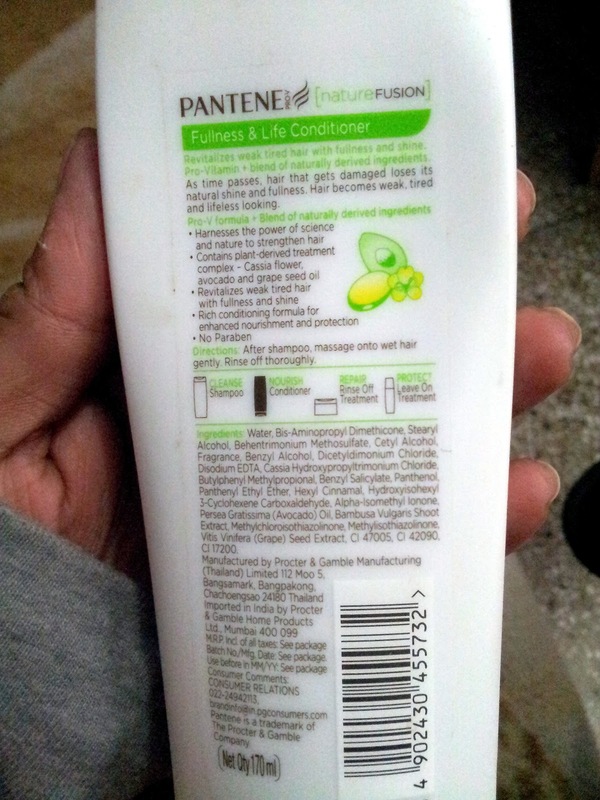 Pantene Pro V Nature FusionConditioner - is just another cream based conditioner. 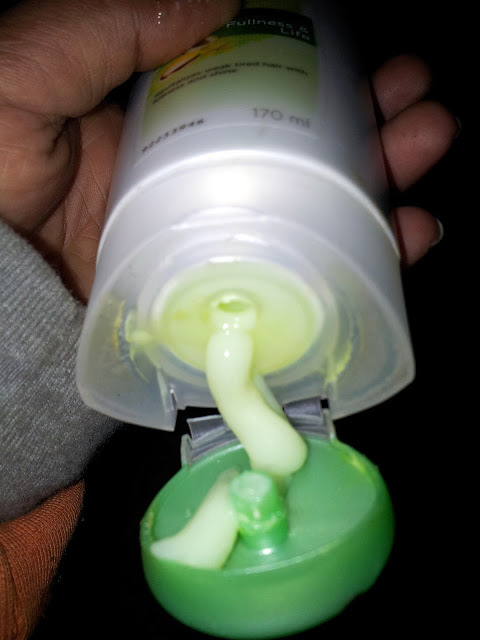 A thick cream based conditioner to be precise. But it doesn't shy away from working its way through your hair. I use it every alternate days because I really don't feel the need of using conditioner every day. Also it makes my hair look healthy and strands look perfectly de-tangled. But it didn't do any harm too. Such a good babies these are!! 'appy me!! I'd always say that if you want you can skip the conditioner if you have found your HG conditioner. However, do not forget that products are meant to work together as they prepare the prop (our hair) for actions. okay!! Let's see more pictures of shampoo and conditioner!! Disclaimer: The product was gifted by Indiblogger and Pantene Nature Fusion team. For any queries, PR information, website review, store visit and events - please mail me at shoppingstyleandus@gmail.com. 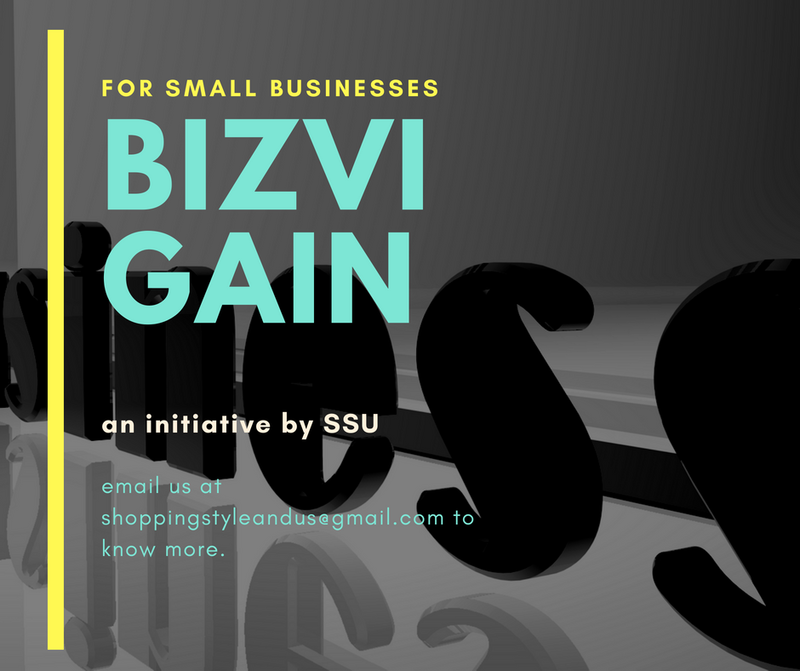 Read about Shopping, Style and Us and to know more, please read my Disclosure Policy.